Homecoming Mums: Why? You might ask yourself this if you’re new to Texas, new to High School or just plain don’t understand the need for a giant flower on your chest or arm. Let’s start with the roots. 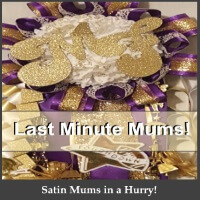 Every year people publish the history of the homecoming mum: why? It’s just that darn interesting. According to those that keep better records than most, the homecoming mum dates back to Missouri, and NOT Texas. The University of Missouri,1911 (some say 1913) when it was asked that the Alumni of the University to come back to visit. Which is now called “Homecoming”. Enter the mum, originally a corsage, and real (Unlike the artificial used today) was given to a girl by a boy to take to the homecoming. Which eventually turned into more than just a football game, it then followed by a dance and thus homecoming plus corsage was born. Over the years the tradition stuck but because everything is bigger in Texas, we went a little wild and big with it. Every year getting bigger and bigger until the real flower couldn’t keep up. Not only did they get too big for the real flower but they also wouldn’t keep. In comes the artificial and BOOM! There we go! Spare Us Roots Man, WHY Do We Do This? The short answer? Tradition. Mums are supposed to be a token of affection. Either between a girl and her date, or even between parent and child. The tradition expands to include colors reserved for specific grades, school spirit, the “look at me” factor. And even most recently, elegance. Not to mention it’s just plain fun! Students get to show their personality, and school spirit at the same time and parents like to carry on the tradition they did as a high school student too. A few things that you might not know about Homecoming Mums now-a-days. Mums can be any size you like. Mums come in sizes as small as finger to wrist to chest to the “can’t see the girl anymore for her big fat mum” size. It’s up to the preference of the girl wearing it and the budget of the purchaser. Mums are not always homemade anymore. With mums getting more and more elaborate. Professional Mum makers are taking on the task of not only keeping up with the trends of these monsters but educating themselves by going to classes several times a year to educate themselves on trends, braid making, custom lettering and a lot more. Mums are serious business in Texas and generate 1.2 billion dollars a year for the state according to Forbes. Mums aren’t just a Texas thing anymore and never really was. It’s a myth that Mums are just a Texas thing now days. Mums are very popular in other parts of the country as well and not limited to Texas. Oklahoma, North Carolina, Georgia and parts of Virginia and Oregon still have a mum tradition as well. Even the University of Missouri is reviving their mums. 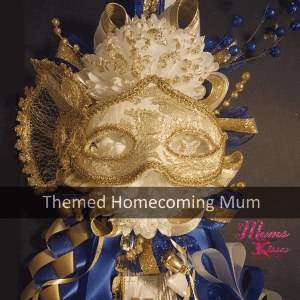 We asked Mums and Kisses owner, Shannon Gonzalez what were some of the myths behind homecoming mums. “I think there are 3 myths that are the most common. Moms think they will make their kids mums because it’s cheaper. – Not always true! 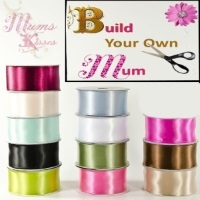 Craft shops have gotten wise to the fact that you need ribbons and other supplies to make your mums. They’re a seasonal product which means they jack up the prices. There are over 200 professional mum makers in the state of Texas alone that can make mums for less than you can buy the supplies for, and you didn’t have to do the work. These mum makers have access to mums and supplies all year long and don’t pay what you’d pay for supplies as they don’t shop at the craft shops for supplies. Mums have to be huge and expensive. They don’t have to be anything you don’t want them to be. Of course you can choose to do an elaborate affair, but not every mum has to be over the top. Most choose something normal, but it really depends on the students school. You also don’t have to have the bells. Some schools do not even allow them. Some traditions are really worth keeping. In a day and age that traditions are out the window, it’s a good wholesome thing to keep. 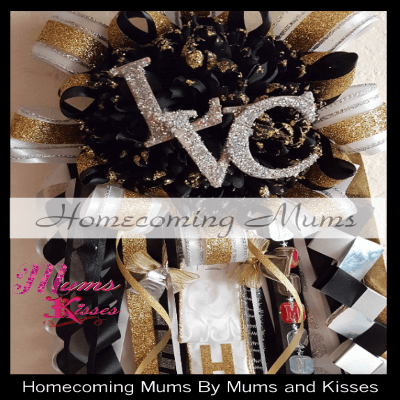 The question of Homecoming Mums: Why? Is more likely a question of Why Not? Click images to have one made for you!